Kambo has been utilized by indigenous tribes of the upper Amazon for hundreds of years. It is an integral part of the culture of the Matses, Marubo, Nukini, Mayoruna, Amahuaca, Katukina, Kulina, and Kaxinawá peoples. 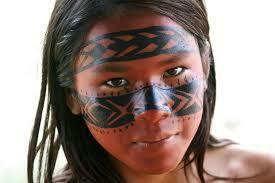 The most prevalent myth regarding the discovery of Kambo comes from the Kaxinawá people of Brazil. In it, a storied healer called Kampum passed away and reappeared as the frog from which Kambo is harmlessly collected in order to be used to strengthen and energize the mind and body of hunters, as medicine to treat Malaria, fever, infections and snake bites, and to clear away negative energy known as 'panema'. It is said that when 'panema' is warded away, the path to overcoming obstacles is revealed and life flows more naturally. Each tribe has utilized Kambo in their own way. Some tribes' techniques date back thousands of years and some modern adoptions by tribes such as Caboclo have little history or ritual associated with the application. Kambo use is not connected to shamanism or curanderos (although they may utilize it) and is used and applied by both men and women. The first non-native observations of Kambo use were recorded by a French priest, Father Constantin Tastevin in 1925 while residing with the Kaxinawá. In the 1980's, anthropologist Katherine Milton described its use among the the Mayoruna tribe and Peter Gorman documented his experiences with it among the Matses tribe, largely contributing to the spread of knowledge of Kambo (or 'Sapo' as the Matses refer it) to the Western world. As Certified Practitioners by the IAKP, we are trained in both the traditional uses of Kambo as well as the more modern adaptations of it, including using it in conjunction with traditional Chinese meridian points and auricular points to target specific functions within the human body.